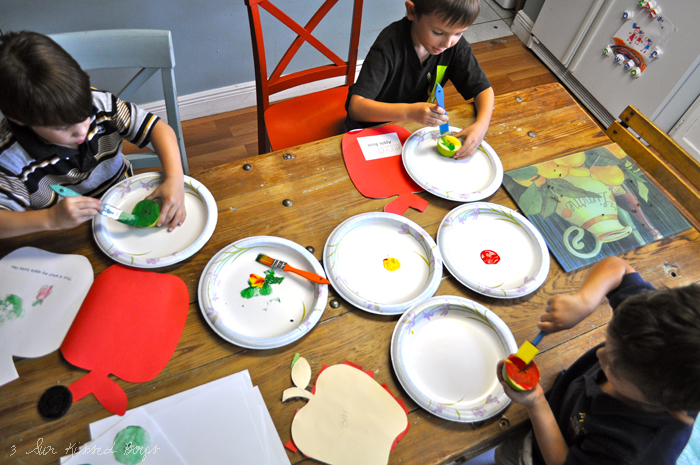 Since school started, I've been slacking in doing craft projects at home with the kids. On Friday, Sun Kissed Boy #2 had a classmate over for a visit. I took that opportunity to do a simple craft activity with them. Isn't that what little boys love to do in play dates, craft? 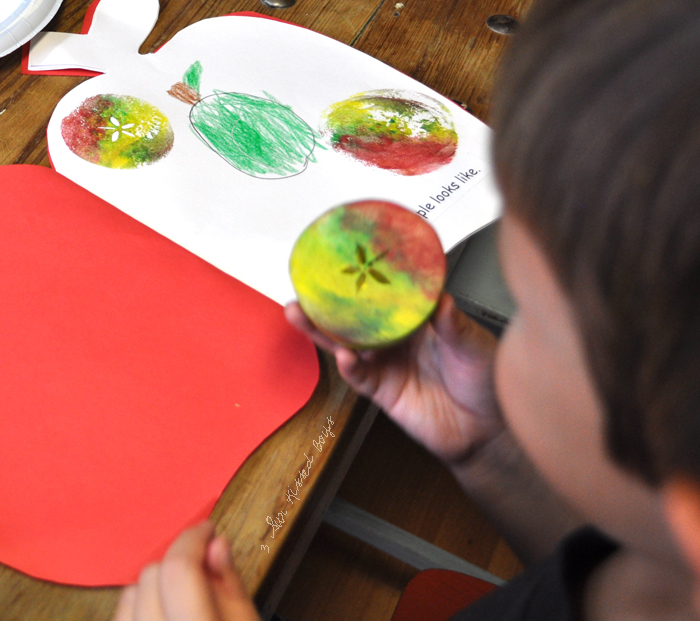 The boys brought home a book they put together at school about apples. 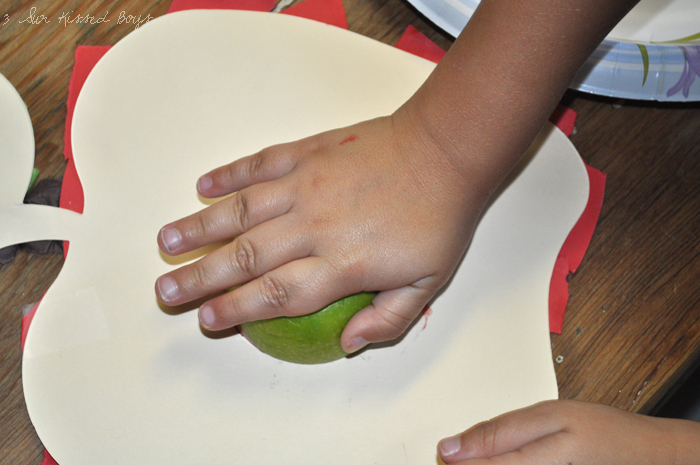 They were asked to bring an apple to class and each page documented facts about their apples. 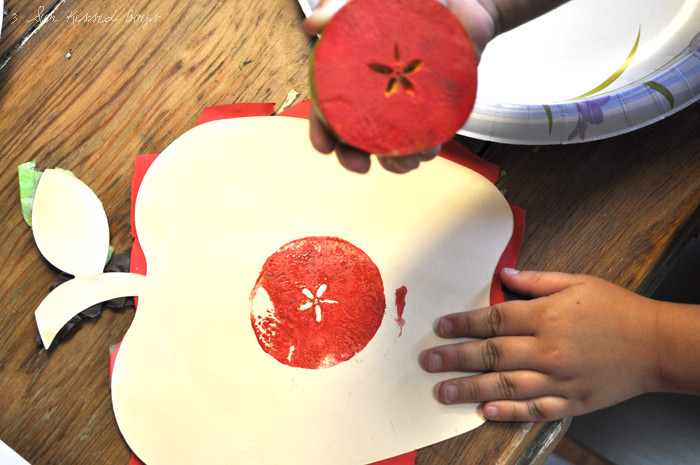 I thought it'd be fun to add to their apple book by using apples as stamps. It's quick and easy to do. 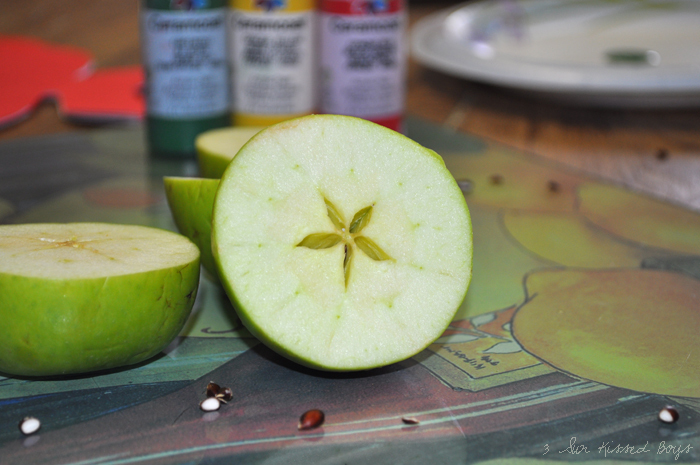 All you need are apples cut in half (horizontally), paint and brushes. 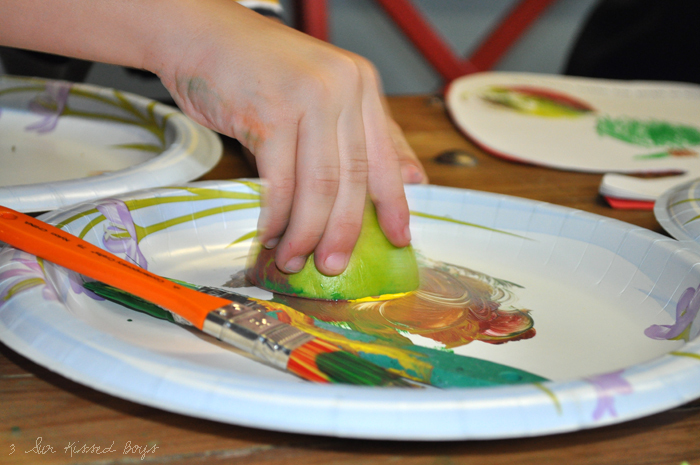 I had the boys use the brushes to paint the apple halves but, as our visitor figured out, smearing them in paint is much more fun! Then they were ready to stamp. They actually have to apply some pressure to get an even stamp. The boys also liked mixing colors. I thought of doing this on a whim after I saw the apple book in Sun Kissed Boy #2's backpack. 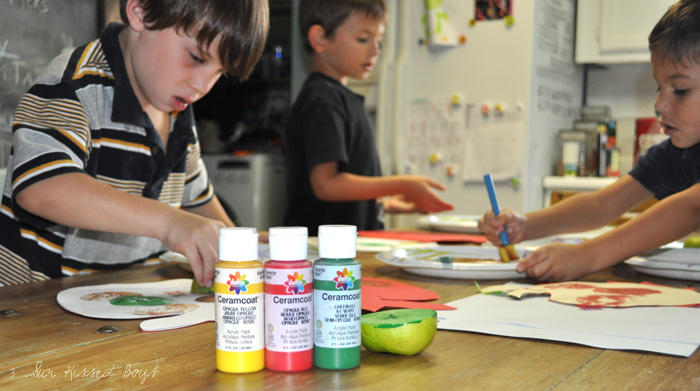 I didn't think about the paint I set out for the boys to use. I suggest using washable paints and NOT acrylics. Silly me! This made me tell the boys to wrap it up real quick. They were fine with it since we moved on to milk and cookies. After all, crafting is fun but milk and cookies win every time. I just saw a banner made from burlap and then they used apple stamps to decorate it on Pinterest. How much fun to play with apple stamps! We did this once (and I don't think we used washable paints either)! I love how they mixed the colors...now that's an artist. Cute! We often carved up potatoes and did potato prints as well.